Rust-Oleum Specialty Chalkboard allows you to turn almost any surface into a chalkboard. Actual writable, erasable chalkboard finish inspires creativity! Holds up to repeated chalk writing. Create 3D art that pops off the pavement. Experiment with the neon colours to create your own unique designs and watch it pop off the surface. Neon Pink will appear the Closest and Neon Blue will appear the Farthest. Pair the different colours for the most dramatic and fun 3D effects. Rust-Oleum Stops Rust Cold Galvanizing Compound Spray applies galvanized finish to galvanized and sheet metal. Use on wrought iron and spot-welded metal, gutters, chain-link fences and more. Dries into a 93% pure zinc film. 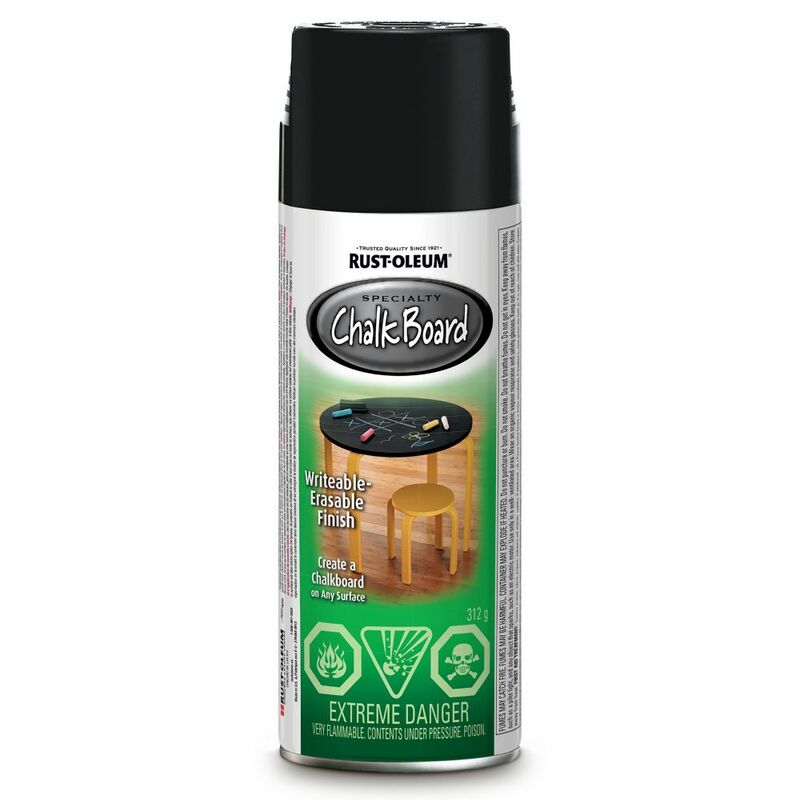 Rust-Oleum Chalk Board Aerosol Rust-Oleum Specialty Chalkboard allows you to turn almost any surface into a chalkboard. Actual writable, erasable chalkboard finish inspires creativity! Holds up to repeated chalk writing.